Ah, bedtime. The time of day that parents worldwide await. The children go to bed, and parents retreat downstairs to silence, some adult time. Or that’s what you’d think. Alas, it’s rarely the case. So, to further my pursuit of honesty and openness in the world and to bust any myths, I’ve decided to come clean. Here’s the truth about bedtime in our house, the struggle to get a three and five year old into their beds. Babygirl is a different story. Me: Will I help you? Them: NO I am a BIG BOY. I can do it all by myself. I’m stuck Mam help. My top won’t come off. Where are my arms? Can you help me? I want to be first, don’t help him, help me. I WANTED TO BE FIRST. WAAAAAA. Me: Right lads, up the stairs. Them: I’m going to win. AWWW I wanted to be first. I wanted to win. It’s not a race today. I don’t like racing anyway. Be a Dinosaur Mam. Be a Monster Mam. Chase us! Wheeee. Them: Don’t scare us Mam. Squeeeeeeee don’t catch us. Them: He took my toothbrush. Can we use the new toothpaste yet? I like “Gentle Mint” best. Where’s the strawberry one? He spitted on my toothbrush, YOCK. Can you squeeze it for me? AWWWW I didn’t want that one. That’s not enough toothpaste, I need more to have shiny teeth. DON’T WASH MY FACE. I can do it myself. WHERE’S MY NANG? Smell my teeth Mam, isn’t that nice? Them: I don’t need a wee. I did loads already. Oopsie I just did one in my pullup. Can you change my pullup? I need a wee. WHERE’S MY NANG gone? I’ve a poo. Will you wipe my bum? Them: Put Laoise beside me. I want to sit there. Can I hug Laoise, where’s Laoise’s story. “Oh Angel of God my guardian dear…” Where’s my book gone? Why does God make wasps? I need to pick a book. Can I do my school prayer? NO I want to do it myself, you STOP Ciarán. “Little Shild Cheesus Come to me, my heart is so small and you must have it all and bless all the sick people make them better and all the hungry people and make me a good boy”. HE DID IT ALL WRONG. NO I DIDN’T, IT’S MY PRAYER. Continues until we “God Bless” every known relative and friend by name, and some pets, favourite toys and zoo animals. This is in fact the calmest, nicest part. Except Laoise tries to grab the books and that boys get cross. Or I try to steer them away from the longest book on the shelf or the one that I just don’t like the story. I know, I’m an adult. I should hide those books. Them: I wanted that book. You skipped a page. Can I read some of the words? I picked the wrong book, I want a different one. Me: Now boys, into your beds and I’ll give you a kiss goodnight. Them (climbing the bunks/sofa/walls): LOOK at MEEEEEE. Night Mam. I’m not tired. Can I come back downstairs when he’s asleep? Can I have a hug? He got a better hug than me. I want to be first. I don’t want him to be first. Can Laoise sleep with me? Can you do my covers? I don’t want any covers. Oh, maybe I do. Me: Now, you’re all tucked up, night night. Me: Night pets, I’m going downstairs now. Love yoooo. 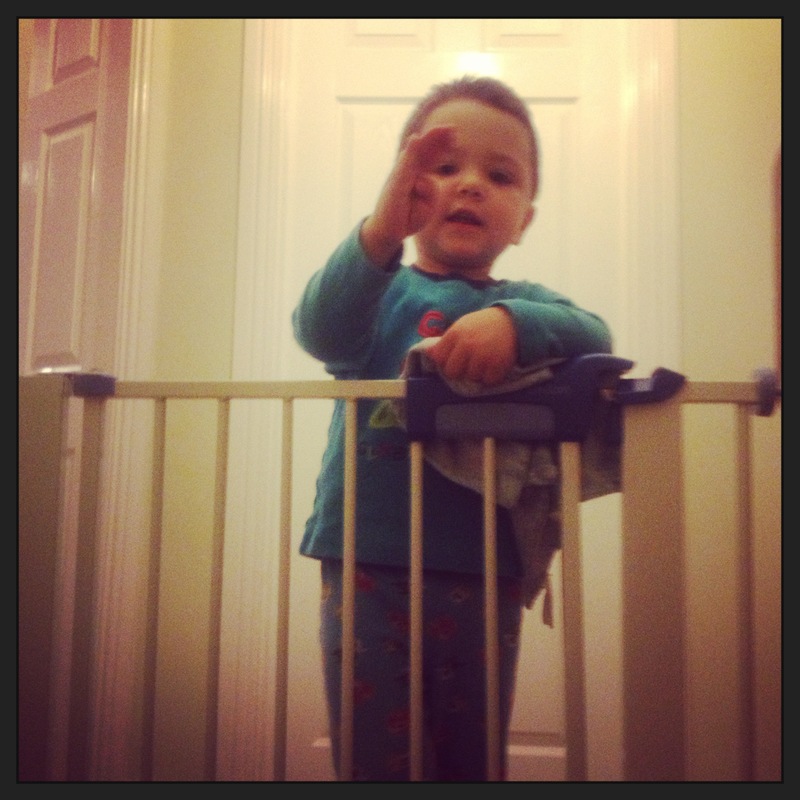 All start with “Mammmm” or “Daddddddddd” in a sweet little voice from the top of the stairs. If we ignore, they start banging on the stairgate and then add the sweet little voice when we respond. Can you fix my covers? I can’t get to sleep. Me/Dad: What are you scared of ? Me/Dad: Oh dear. What do we do to bold dragons? Cathal: Tickle them but Ciarán says to hold their tails and count to ten but that’s too silly, they’d get you. Me/Dad: Yes, and the hungry giants, do we tickle them? Me/Dad: oh, and the crows, will we say shoo to get them away? Cathal: They eat icecream in Duncannon. Me/Dad: So are they all gone now? This only occurs as the noise levels upstairs drop and you realise they’re asleep. But you’ve a kitchen to clean and a baby to put to bed. Argh, more bedtime. and you’re fit for it yourself! Does this sound familiar? When do they grow out of it? bedtime, kids, parenting, prayers, sleep, story. Bookmark. hee hee brilliant! I especially love the very important requests that come at the end of it all – straightening of blankets is a favourite in our house. We used to get dressed for bed downstairs and then have two stories each, but we’ve switched to getting dressed upstairs and one joint story – for us, it’s working MUCH better than in the past. Though it hasn’t stopped the blanket straightening requests…. Brilliant, so honest and true, I especially love when they decide just as your going out the door that something important did happen at school after all, and despite repeated questions about school all afternoon, it slipped their mind till right this moment!!! Elizabeth I am tempted to edit the post to include that, I had forgotten as last night my school boy was behaving it was the smaller one who was on the stairs scared of dragons. The 5 year old will spontaneously burst into song as I walk out the door, and say “I learned this today” or start spouting Irish words at me! Will we ever get the evenings back? Someone told me that what happens is that you end up going to bed before the kids!